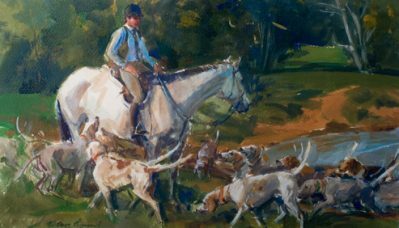 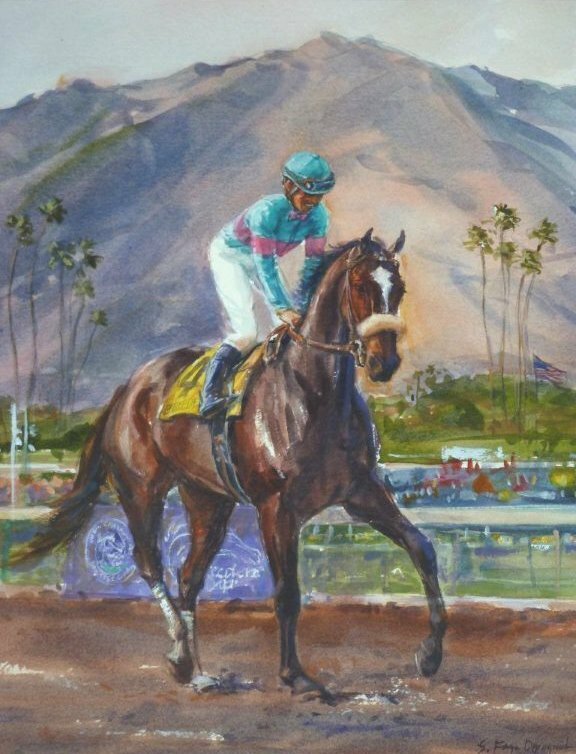 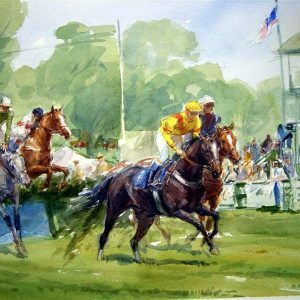 Equestrian artist, Sandra Oppegard is renowned for her inspiring watercolors and incredible use of colors. 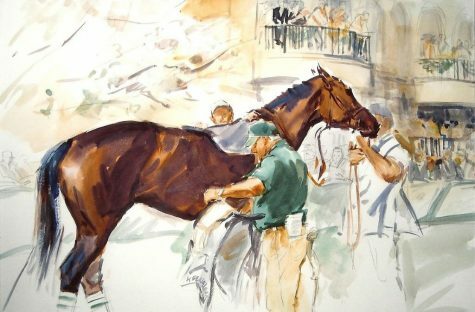 Married to a thoroughbred trainer and having visited numerous tracks around the country, she is passionate about equine art and captures her racing scenes with authenticity combined with great affection for the colorful work of trainers, grooms, and exercise riders. 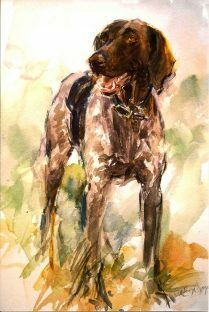 As a result, her work has become a favorite with people working in the horse business. 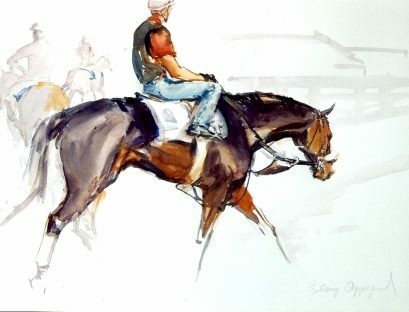 Oppegard graduated from the Pasadena Art Center College of Design where she majored in illustration. 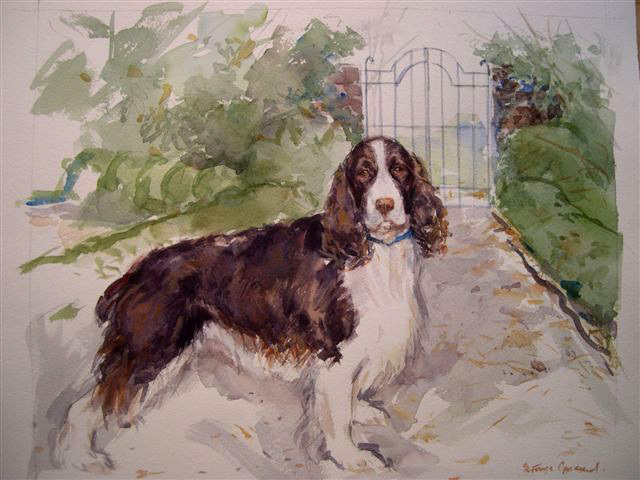 She has participated in numerous art shows and her paintings have been featured on many magazine covers. 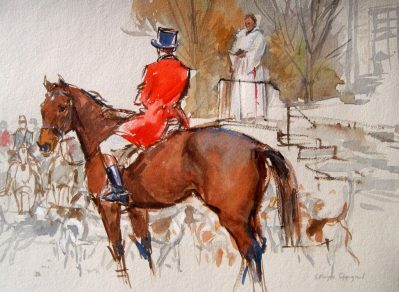 She makes her home in Kentucky.